House League is played on Tuesday and Wednesday evenings from 7 to 9 pm. We rotate so that we play three sets each night with new partners each match. 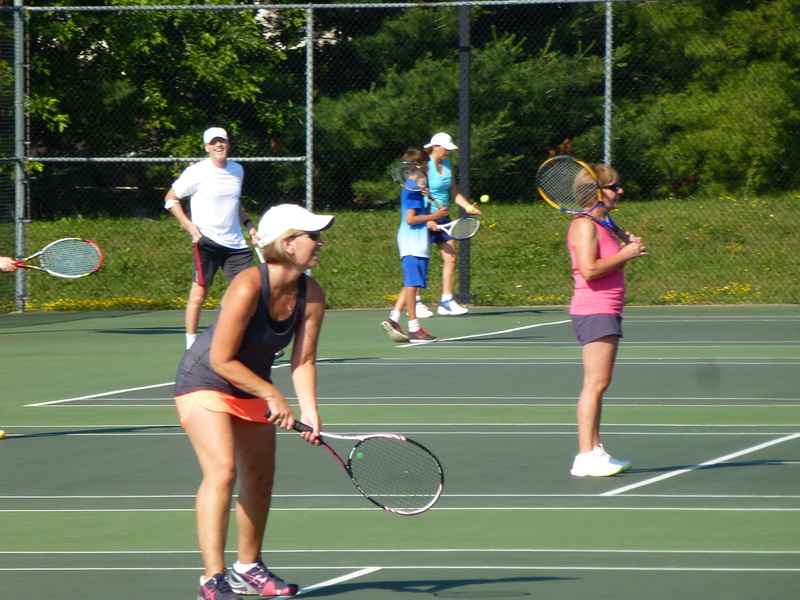 New players are always welcome and we encourage you to take advantage of the Tennis 101 (3 almost free lessons that are offered before house league begins). House league allows you to learn new skills, play regularly, stay in shape and share lots of laughs.